Regardless of the type of roofing project you have in mind, be it new construction or re-roofing your existing property, Carolina Storm Roofing will be there to help you all throughout its completion. As a reliable and trusted roofing contractor in Charlotte, Carolina Storm Roofing will relieve all your worries about roof repair, roof replacement, and other roofing services you might need. What sets Carolina Storm Roofing apart from other Weddington- based roofing companies is its standard of excellence and trustworthy service. Apart from that, the workmanship warranty and reliable insurance approach of the company will also work for your benefit and peace of mind. Since the start of the Carolina Storm Roofing operation, it has been a firm policy of the company to provide Free Roof Inspections to our valued customers, especially in Weddington. Along with our experienced and skilled workforce, a complete and thorough roof inspection will be performed on your property. Small details concerning roof and gutter system damages that could potentially become a huge problem in the future will not be left unchecked, especially with our state of the art tools and equipment. Carolina Storm Roofing has strong customer relationship and exceptional workmanship and overall service as its foundation and priority. Thus, making our company a trusted name in the roofing industry. We look forward to sharing both our services and company values to your family or businesses, contact us for more details. 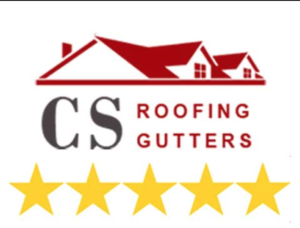 Carolina Storm Roofing is a distinctive and trustworthy contractor for any roof and gutter system needs. Weddington is considered as one of the affluent suburbs of Charlotte, North Carolina. Hence, requiring more sophisticated and high-quality roofing services from a distinct and trusted roofing contractor, especially when it comes to its almost 3,000 households. The town of Weddington has its own significant share in the American history, which could be traced back to the 1800s. After a series of trials and tribulations, Weddington managed to rise above it and become a town known for its rich history and culture, as influenced by the first settlers from Germany, England, Wales, and Scotland. As of the most present, the town with its total area of 15.9 square miles or 41.2 square kilometers, its served as a home for more than 10,000 people. In terms of liveability, the town as pointed by ranking and review site, Niche, is under grade A. Such grading system is based on factors including, public schools, crime and safety and other relevant factors. In terms of its housing value, it was reported that 2017 was a good year for most homeowners in Weddington, as the homeowners have seen a 13.7 percent increase in their home price. And such may be credited to home improvements including roof repairs and maintenance performed by an expert roofing contractor.